70cl / 40% - A limited edition rum from Chairman's Reserve, blended from casks that had been forgotten about after the fire that seriously damaged the distillery in 2007. Having lost a lot of warehouse space they put the casks wherever they could and finding a parcel of these lost casks they have created this older than usual expression. Nose (88): more than average. spices, powder, burnt sugar, fruits, spices, corn. Taste (85): light, smooth. burnt sugar, vanilla, spices, wood, dust. Not bad... if only it would have been bottled at higher strength. Finish (84): average. wood, spices, vanilla. 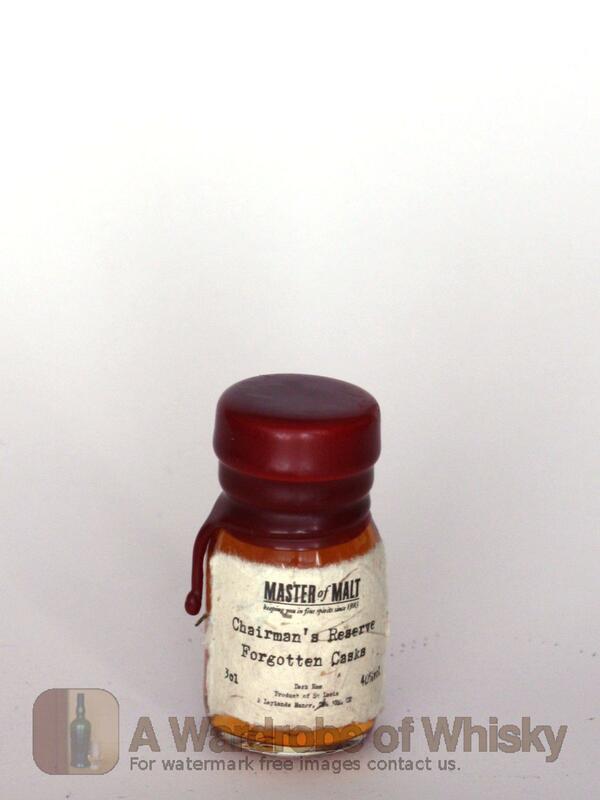 These bottles have been chosen over others because their nose, taste and finish are more similar to Chairman's Reserve Rum / The Forgotten Casks than the rest. Go to Whisky-o-matic page to fine tuning other settings.